Excerpts from, and a few friendly comments on, Diane Ravitch's essay, Everything you need to know about the common core. (Comments marked with "SK"). My hope is that this very strong essay will turn the tide. 1. 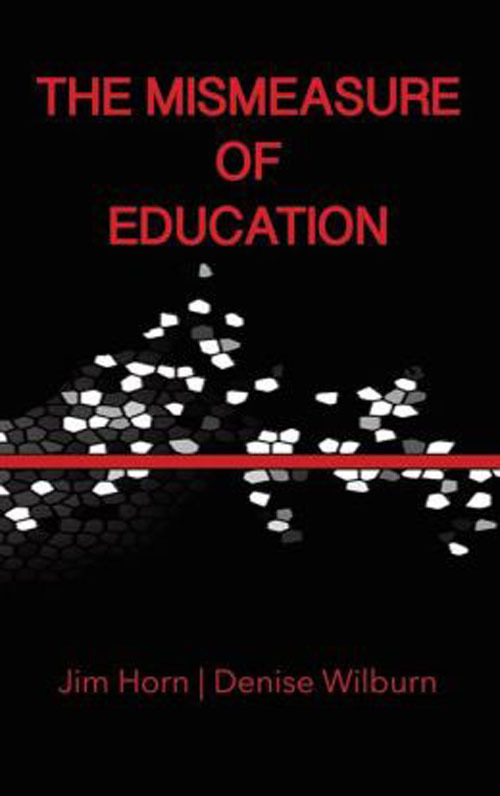 "These two federal programs (NCLB and Race to the Top), which both rely heavily on standardized testing, has produced a massive demoralization of educators; an unprecedented exodus of experienced educators, who were replaced in many districts by young, inexperienced, low-wage teachers; the closure of many public schools, especially in poor and minority districts; the opening of thousands of privately managed charters; an increase in low-quality for-profit charter schools and low-quality online charter schools; a widespread attack on teachers’ due process rights and collective bargaining rights; the near-collapse of public education in urban districts like Detroit and Philadelphia, as public schools are replaced by privately managed charter schools; a burgeoning educational-industrial complex of testing corporations, charter chains, and technology companies that view public education as an emerging market. Hedge funds, entrepreneurs, and real estate investment corporations invest enthusiastically in this emerging market, encouraged by federal tax credits, lavish fees, and the prospect of huge profits from taxpayer dollars. Celebrities, tennis stars, basketball stars, and football stars are opening their own name-brand schools with public dollars, even though they know nothing about education." 2. "No other nation in the world has inflicted so many changes or imposed so many mandates on its teachers and public schools as we have in the past dozen years. No other nation tests every student every year as we do. Our students are the most over-tested in the world. No other nation—at least no high-performing nation—judges the quality of teachers by the test scores of their students." 3. "The Pearson Corporation has become the ultimate arbiter of the fate of students, teachers, and schools." 4. "This is the policy context in which the Common Core standards were developed. Five years ago, when they were written, major corporations, major foundations, and the key policymakers at the Department of Education agreed that public education was a disaster and that the only salvation for it was a combination of school choice—including privately managed charters and vouchers– national standards, and a weakening or elimination of such protections as collective bargaining, tenure, and seniority. At the same time, the political and philanthropic leaders maintained a passionate faith in the value of standardized tests and the data that they produced as measures of quality and as ultimate, definitive judgments on people and on schools. The agenda of both Republicans and Democrats converged around the traditional Republican agenda of standards, choice, and accountability. In my view, this convergence has nothing to do with improving education or creating equality of opportunity but everything to do with cutting costs, standardizing education, shifting the delivery of education from high-cost teachers to low-cost technology, reducing the number of teachers, and eliminating unions and pensions." SK: And most important, everything to do with maximum profits for the .01%. And we should underline "shifting the delivery of education from high-cost teachers to low-cost technology, reducing the number of teachers,"
5. "The U.S. Department of Education is legally prohibited from exercising any influence or control over curriculum or instruction in the schools, so it could not contribute any funding to the expensive task of creating national standards. The Gates Foundation stepped in and assumed that responsibility. It gave millions to the National Governors Association, to the Council of Chief School Officers, to Achieve and to Student Achievement Partners. Once the standards were written, Gates gave millions more to almost every think tank and education advocacy group in Washington to evaluate the standards—even to some that had no experience evaluating standards—and to promote and help to implement the standards. Even the two major teachers’ unions accepted millions of dollars to help advance the Common Core standards. Altogether, the Gates Foundation has expended nearly $200 million to pay for the development, evaluation, implementation, and promotion of the Common Core standards. And the money tap is still open, with millions more awarded this past fall to promote the Common Core standards." SK: For just last year's Gates Foundation investments, I mean donations, see: http://susanohanian.org/core.php?id=632." 6. Integral to the Common Core was the expectation that they would be tested on computers using online standardized exams. As Secretary Duncan’s chief of staff wrote at the time, the Common Core was intended to create a national market for book publishers, technology companies, testing corporations, and other vendors.
" Who would guess Weiss' salary is paid for by US taxpayer dollars? Seems like it should be coming from the Business Roundtable or maybe Wireless Generation and McGraw-Hill. One thing is clear: The Duncan people feel no need to be subtle. Weiss is very clear about the real purpose of the Common Core Standards and Assessments." 7. "ExxonMobil is especially vociferous in advocating for Common Core, taking out advertisements on television and other news media saying that the standards are needed to prepare our workforce for global competition. The U.S. Chamber of Commerce endorsed the standards, saying they were necessary to prepare workers for the global marketplace. The Business Roundtable stated that its #1 priority is the full adoption and implementation of the Common Core standards. All of this excitement was generated despite the fact that no one knows whether the Common Core will fulfill any of these promises. It will take 12 years whether we know what its effects are." SK: I think the CC$$ are very necessary for profits right now and in the immediate future. Nothing more. American education is still doing fine, American business is doing fine. There is no crisis. Only a crisis in how to funnel more money to the .01%. Plz see: Hacker, J. and Pierson, P. 2010. Winner-Take-All Politics: How Washington Made the Rich Richer And Turned Its Back on the Middle Class. Simon and Schuster. 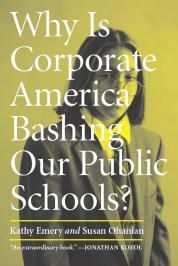 Plz see also Emery, K. and Ohanian, S. Why is Corporate America Bashing Our Public Schools? 8. "The Common Core testing consortia decided that the passing mark on their tests would be aligned with the proficient level on the federal tests called NAEP. This is a level typically reached by about 35-40% of students. Massachusetts is the only state in which as many as 50% ever reached the NAEP proficient level. The testing consortia set the bar so high that most students were sure to fail, and they did." SK: Gerald Bracey presented excellent arguments years ago that the "proficiency" level of the NAEP was very very high, eg http://www.washingtonpost.com/wp-dyn/content/article/2007/05/02/AR2007050202004.html. 9. "The financial cost of implementing Common Core has barely been mentioned in the national debates. All Common Core testing will be done online. This is a bonanza for the tech industry and other vendors. Every school district must buy new computers, new teaching materials, and new bandwidth for the testing. At a time when school budgets have been cut in most states and many thousands of teachers have been laid off, school districts across the nation will spend billions to pay for Common Core testing." 10. "The standardized testing should become optional. 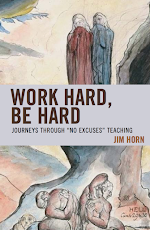 It should include authentic writing assignments that are judged by humans, not by computers." SK: Tests in which writing style, or form, are evaluated are really tests of reading. 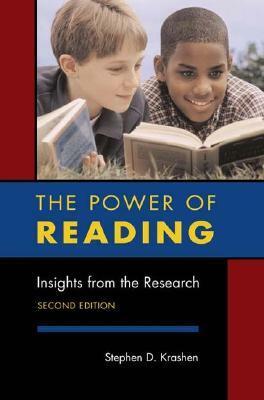 Nearly all of our ability to write with an acceptable style comes from reading (eg evidence cited Krashen, 2004, The Power of Reading). Writing helps us communicate with others, but also helps us solve problems. The use of writing to solve problems cannot be tested in any simple way.